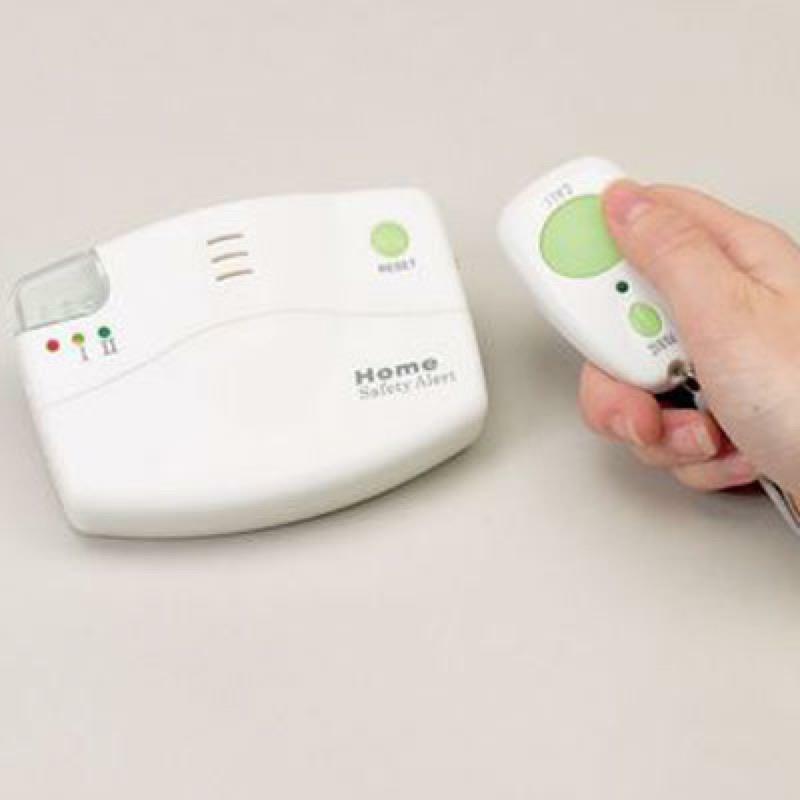 This Home Safety Alert is a wireless panic and calling alarm system that has one main receiver and two pendants. The caller can choose between a standard call signal or a panic alarm. This Home Safety Alert is a wireless panic and calling alarm system that has one main receiver and two pendants. The caller can choose between a standard call signal or a panic alarm. Range 100 ft.